Does your home have a problem with air leakage? At Lotze Land Design, we can help seal off openings where conditioned air can escape and outside air can enter by insulating open spaces. 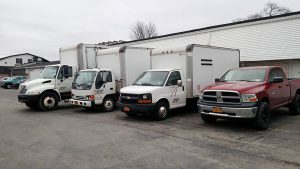 We’ve provided efficient air sealing solutions for homeowners throughout Rochester, NY and the surrounding communities since 1977. You count on your home’s heating and cooling system to keep you comfortable throughout the air. However, openings throughout your home—including your attic, walls, ceilings, floors, doorways, windows and more—can cause this conditioned air to escape into the outside atmosphere. When this air has floated out into the outside world instead of staying in your home and keeping you comfy, you might crank up your heater or air conditioner to compensate, causing you to use more energy (and spend more money) to keep from overheating or freezing. Additionally, outside air can enter your home. Not only does this cause discomfort, but polluted air or overly moist air can cause poor indoor air quality and moisture damage to your home’s structure. 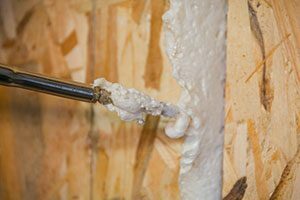 By sealing the openings in your home with foam or fiberglass, we can keep conditioned air in your home and keep out outside air. 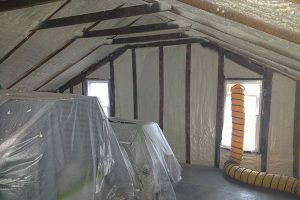 We apply either fiberglass or spray foam insulation to openings in your attic, walls, flooring and ceilings, as well as around recessed lights, plumbing, piping, conduit and other areas. Through air sealing, we can help you save money on your energy bill and give you year-round comfort. To schedule air sealing for your home, call 585-328-1580.